Angel Carden's mom found him on the couch zoned out one night and wasn't able to respond to his mom verbally what was wrong. Then he started vomiting and having seizures. 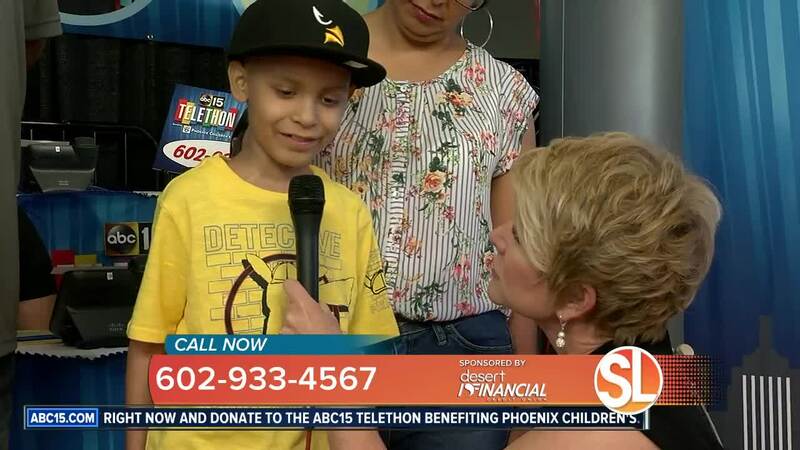 Once he got to Phoenix Children's, Angel was in surgery where they drilled a hole in his brain to release the fluid build up. Angel received two shunts followed by a seven-hour surgery to remove the tumor. Then he underwent radiation and chemotherapy. Angel is now doing well and thriving in school!